A Reno, Nevada native, Stephen Dankworth graduated from the University of the Pacific Dental School with a Doctor of Dental Surgery degree. With a passion for continuing education and commitment to quality dentistry, Dr. Dankworth learned what makes patients most comfortable and satisfied with their dental treatments. This experience, combined with his technical education, allowed Dr. Dankworth to found his practice on solid principles of compassionate, comprehensive dental care. Dr. Dankworth was awarded the Crown Council Lifetime Achievement Award for his outstanding work in dentistry and his involvement with the Smiles for Life charity organization. 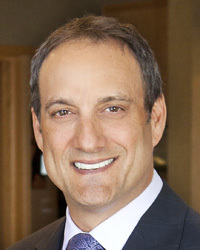 After more than 20 years serving Carlsbad and San Marcos CA as a cosmetic dentist, Dr. Dankworth can rectify nearly any problem with the function or aesthetics of his patients’ smiles. Dr. Dankworth’s relaxed and empathetic demeanor attracts patients searching for a gentler approach to dental care. He enjoys getting to know his patients so that he can provide the best dental care for their lifestyles. Dr. Dankworth stays attuned to the needs of his patients and the greater San Diego community through his involvement with Crown Council and the Smiles for Life organization. Through Smiles For Life, he has helped to raise millions for children’s charity organizations on both the local and the national level. In his free time, Dr. Dankworth enjoys bicycling, golfing, skiing, and painting.